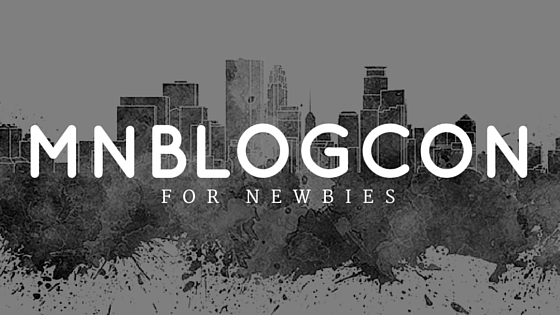 New to #MNBlogCon? Read This! Congratulations! You got a ticket to one of the best events in town! The Minnesota Blogger Conference is something that I look forward to every year and this year is no exception. Here are a few things that you might want to know if this is your first Minnesota Blogger Conference. I know these were the items that I worried about for my first year. Be prepared to meet new people! This is one of the best parts of the conference, but it is best to be prepared for a day to step out of your comfort zone. Be ready to introduce yourself to new people and give a 10 second blurb about what your blog is about and why you are there. Also, don’t sit alone. If you don’t know anyone, go and introduce yourself. Bring business cards! I enjoy giving out and receiving business cards each year. It allows me to reach out to someone that I had a connection with or allows me to follow up and start reading a blog I might enjoy. I have a stack of cards that I’ve kept incase I want to connect a blogger to a business or if I need help with a project. Seek out people that you’ve been meaning to meet! I love twitter and I’ve found some people on twitter that get me but we haven’t met in real life. The Blogger Conference allows me to meet some of those people that I’ve wanted to meet in real life. Read up on some Blogs! Seriously, one of the best complements any Blogger or Writer can get is that you’ve actually read their work. It’s a great way to start a conversation too! Be yourself! I was worried my first year about what to wear. I couldn’t decide between more business like or clothes that I really liked. My best advice is to wear something you feel comfortable in. I’ll wear a dress because thats what I like wearing. Don’t go too casual but formal attire is not necessary. Ask questions! If you have a question, ask it! There is most likely someone else out there that has the same one. The more open that you are the more people that you will meet. Your question might spur on a conversation that happens during the free time. Be prepared to take notes! I take notes every year to remember everything that I’ve learned. Usually, these notes turn into my to-do list for the next year. Bring your electronics if you wish to do so. I do! Make sure they are charged ahead of time. Prep your blog for the conference! People will most likely be looking at your most recent posts on your blog. Write a few more blog posts than you normally do. Make that change you’ve been meaning to do. The more you put into it beforehand the more you’ll get out of it afterwards. Prep your Twitter for the conference! I suggest that you start following people that you know are going to be at #MNBlogCon. It’s a great way to join in the conversation while you are there and meet some new bloggers. Plan your day! I am a planner but at the conference I tend to be more of a pantser. Have an idea of what topics that you are interested in but also be open to changing the session that you go to if you find something interesting. If you need any help choosing ask a volunteer or a blogger that has been to the conference before. Go to the after- party! Why wouldn’t you? There will be beer! Say, “THANK YOU!” to the amazing people who make this day possible! This event is something that is a labor of love from the people who put it on (THANK YOU JEN AND MYKL). Make sure you thank volunteers and the sponsors of this event too! If you’ve been before, what’s your favorite part of the conference? If this is your first one, what other questions do you have? Because a gathering of bloggers is one of the best things in the world. Great post! I love seeing friends I don’t get to see very often, and this year everyone MUST attend the after party. I have class in the morning, so I am bummed to miss the first couple of sessions. I’ll be there! I mean come on… BEER! I had a great time last year. Great presenters and I found the information very helpful. These are great tips. Thanks, Alice! Are you coming this year? Also, congrats on the Rachel Ray show!